Lynn: Jason Banos, Lynnfield's left fielder, stretches before Wednesday's game against the Sanford Mainers. Banos was named MVP of the NECBL all-star game. Photo by Mary Catherine Adams/Salem News. 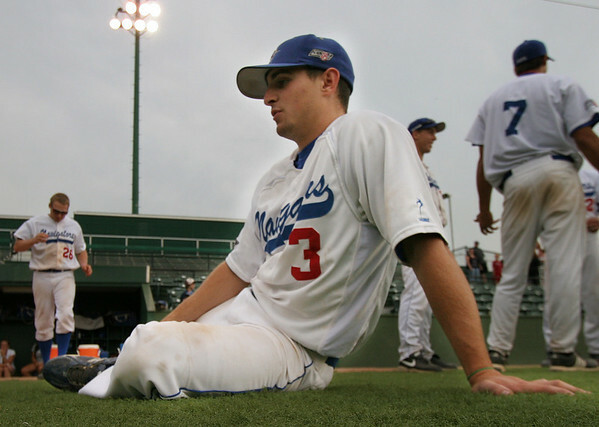 , Lynn: Jason Banos, Lynnfield's left fielder, stretches before Wednesday's game against the Sanford Mainers. Banos was named MVP of the NECBL all-star game. Photo by Mary Catherine Adams/Salem News.